What are the basic differences between classical Golf and Cross Golf? Do we have to use different kind of equipment? Do we have to bring all that equipment (with us) to turkey or is it possible to obtain it from your company in place? Why is Cross golf supporting (environmentally-friendly) ‘’Responsible Tourism’’ ? Are there bad environmental influences caused by Cross Golf in the valleys or elsewhere? How to apply to the nearest Cross Golf Tournament supposed to do? Will there be preparations for having caddies and golf cars during the Cross Golf match? What is “Land”? And what is its significance for the Cross Golf game? * What are the basic differences between classical Golf and Cross Golf? 1. You will not play on an artificial constructed field; you will experience the authenticity of nature in the overwhelming surroundings and unaffected valleys of Cappadocia. 2. The aim is to put the golf ball in nets (over a 10 by 10 Inch small area tended) not holes! * Do we have to use different kind of equipment? No. Cross Golf will be played with the common equipment everyone knows already. * Do we have to bring all that equipment (with us) to turkey or is it possible to obtain it from your company in place? You will be gladly provided with the necessary equipment in place. * Why is Cross golf supporting (environmentally-friendly) ‘’Responsible Tourism’’ ? We are aware, that there is an increasing demand for groundwater in the world and Cappadocia. That is why Indigo Group consciously planning all their projects by respecting the environment as well as the nature. * Are there bad environmental influences caused by Cross Golf in the valleys or elsewhere? Not at all. Cross Golf’s portable equipment will be fully brought back. It will not cause any permanent harm to the environment during the play. * How to apply to the nearest Cross Golf Tournament supposed to do? You can apply in writing to us at [email protected] email. Keep you informed about the tournament and all the other details. * Will there be preparations for having caddies and golf cars during the Cross Golf match? There will be Caddies upon request charged with an extra fee, always keeping in mind that in one of the world’s most beautiful areas which is under the protection of the UNESCO you probably would like to walk or take a horse ride. * What is “Land”? And what is its significance for the Cross Golf game? A 60 square ft measured circular area will be marked with flags and in the centre a net will be placed. The circular area is called “land” If the player has succeeded to drop the ball on this area he will be allowed to turn the nets open site towards the ball. 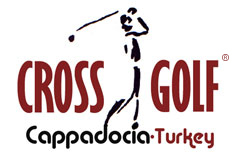 Our main website keywords; Cross Golf Cappadocia, Cross Country Golf Turkey, Golf Turkey, Golf Cappadocia, Activity Cappadocia, Responsible Tourism Turkey, Golf Programs Turkey, Golf Packages Turkey, Golf Tournament Turkey, Golf Travel Turkey, Travel Cappadocia, Golf Services Cappadocia, Cappadocia Golf Club, Kapadokya Golf Kulübü, Golf Travel Cappadocia, Ecotourism Turkey, Adventure Travel Turkey, Travel Turkey, Responsible Luxury Travel Turkey, Tailor Made Travel Turkey.